Secure Your Business – less than $1 per day. Don’t leave your business at risk for another day. Nothing deters thieves and intruders better than a well-designed business security system from MIcrologic. Since each business has unique characteristics, we work directly with you to tailor a security system to your specific needs and requirements. We offer a full range of options to protect your business. Protect your business from intrusion 24-hours a day. 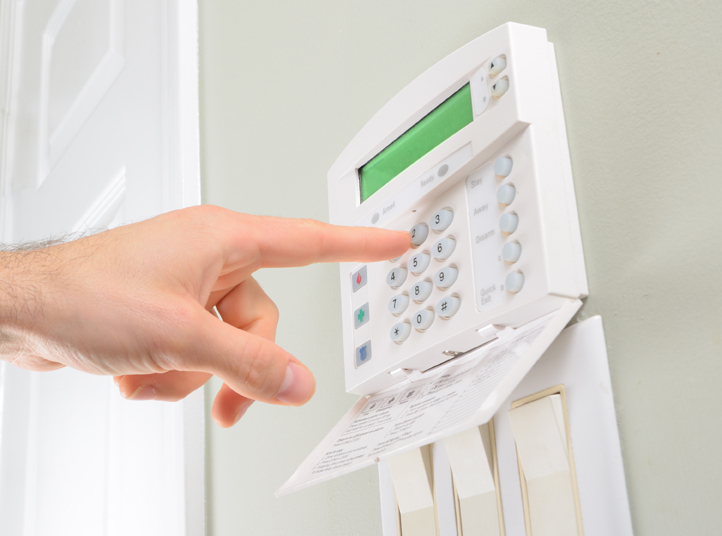 Our security solutions include a combination of motion sensors, door and window sensors, and sirens to fully protect your assets. You can arm and disarm your system from any web browser. View real-time video of your business from one or m ore of your cameras. You can watch each angle one at a time, or take advantage of multi-screen views to see all camera views on a single screen. You’ll gain control over your business security system from any web-enabled computer or smart phone. Check on your business while on vacation, arm or disarm the system from home, and send commands to your security system right from your smart phone or computer. Now you can easily control your lights, locks and thermostat settings from anywhere, using only a web-enabled computer or smart phone. You’ll have the ability to easily monitor and adjust your energy consumption, and make smarter energy decisions with ease. Do your smoke detectors notify anyone outside your business when there is a fire? Our integrated smoke detectors contact the monitoring station at the first sign of danger, even when you’re not there. Find out who arms and disarms your system and other vital report information. Schedule a free on-site security consultation to have our consultants tailor a system for your business.